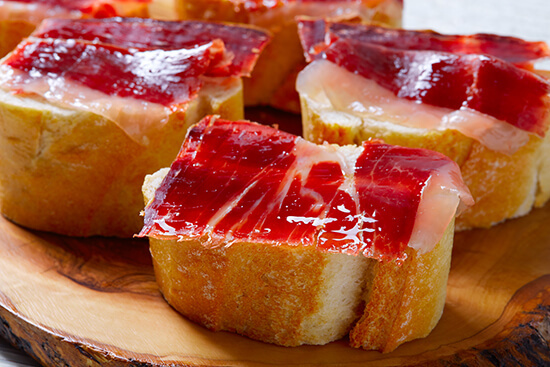 Obvious, I know, but what they say is true – tapas really does taste better in Madrid. And the good news is, you can find dishes everywhere. 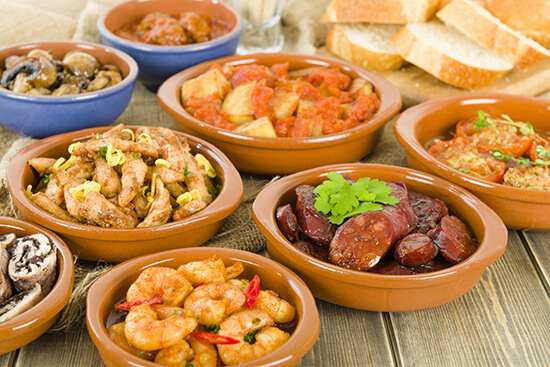 There are tapas bars on almost every corner of the city, so you can get your fill whenever you like. The most memorable tapas I tasted were served at Restaurante Viva Madrid, close to the Plaza Santa Ana. We arrived very hungry after a busy day of sightseeing, and we were in luck – the plates here were generous and delicious. Garlic king prawns, a selection of smoked seafood, battered cod served with the most mouth-watering sauce, and of course, the all-important patatas bravas, which had just the right amount of spice. 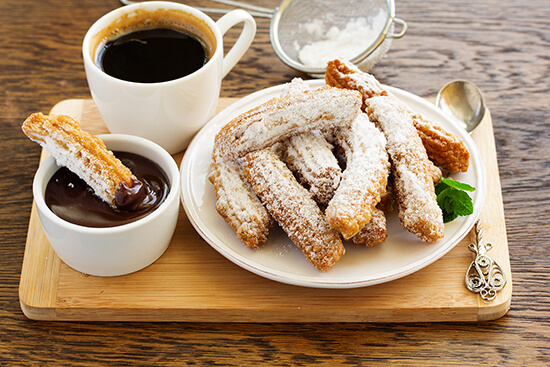 One of Spain’s most popular treats, Churros are best eaten hot, straight from the fryer and dipped in a mug of thick hot chocolate. Spanish hot chocolate is different from the drink we are used to in the UK; in Madrid, it has a consistency like custard and has to be eaten with a spoon. You will find plenty of places to indulge your sweet tooth in the city, but I loved Chocolateria San Gines. Among Madrid’s most famous churros stops, it can be found tucked down a side street off Plaza Mayor. Dating back to 1894, you may need to be prepared to queue, but the reward is so worth it. Though it is more typically found in Spain’s coastal areas, paella is still a dish which is more than worth seeking out in Madrid. Travel a little further north of the city centre and you’ll find Restaurante Samm, a serious contender for the best paella in Madrid. Take a seat on the terrace and don’t miss the appetisers – the calamari with aioli is scrumptious. Just be sure to leave space for the seafood paella; trust me when I say you won’t want to waste a morsel of this incredible dish. Otherwise known as a Spanish omelette, you can’t visit Spain and not try this deliciously-simple dish. 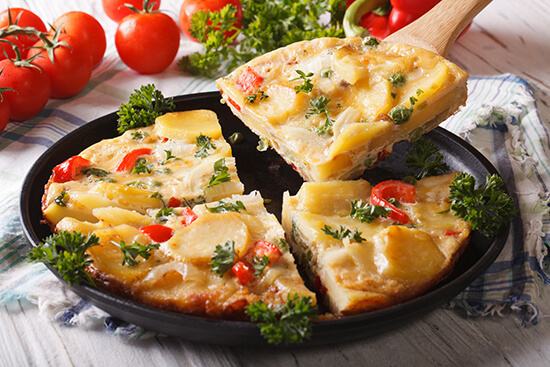 While some fans of the tortilla insist it should only contain egg and potatoes, others argue it is even tastier with the addition of onion, peppers and even tuna. With so many places serving Spanish omelettes in Madrid, it can be difficult to know where to find the best version of it, but you definitely won’t be disappointed at Skylar. Situated close to Rios Rosas, the tortilla recipe here hasn’t changed since the restaurant opened in 1970, and rightly so – it has won numerous awards and is recognised as one of the best in the city. We had only been in Madrid for a few hours before a local asked us if we’d tasted the suckling pig. Among the most famous places in which to try this dish is Botin, listed in the Guinness Book of Records as the oldest restaurant in the world. Opening its doors in 1725, it is believed that even Ernest Hemingway once dined here. The suckling pig is served with roast potatoes and a sheet of crisp crackling, drizzled with juices. 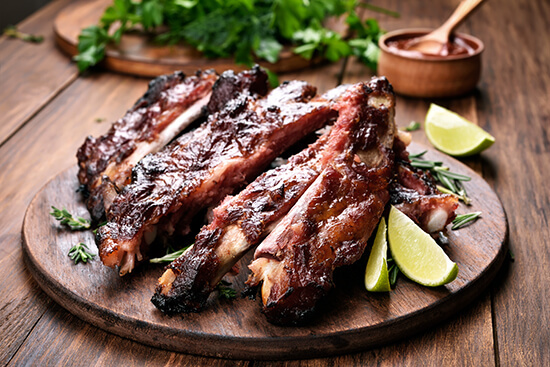 The meat was so tender, I demolished every morsel and I could easily have enjoyed the entire dish again. Jamon Iberico, or Iberian ham, can be found everywhere in Madrid. For some of the tastiest cured meat, head to the historic Mercado de San Miguel, just off Plaza Mayor, one of the liveliest culinary spots in the city. As soon as you step through the wrought iron and glass façade of this indoor market, you’ll be hit with the intoxicating scents of garlic prawns, sizzling meats and fresh fish. Peruse the market’s 33 stalls and track down the tastiest jamon iberico you can find, best served with a little bread and a drizzle of Spanish olive oil. Don't get me wrong, I adore tapas, but after indulging in mini-dishes for three nights on the trot, it was time to mix it up – and this hidden gem didn’t disappoint. Recommended to us by a local, we arrived at this unassuming restaurant in Calle San Blas and were led down into a former wine cellar dating back to the 17th century. 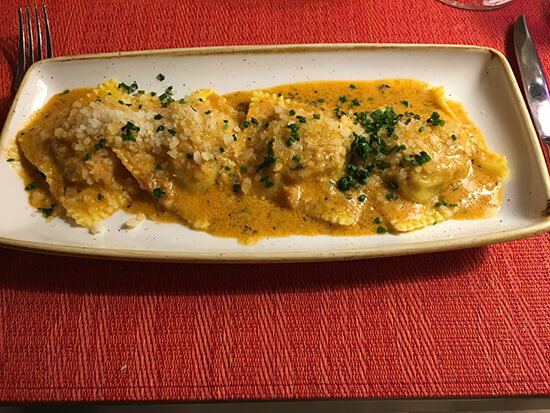 Tables now fit snugly into the romantically lit alcoves, and the food is out of this world. Sourdough bread served with a creamy crème fraiche dip, spinach and ricotta pasta parcels served with butternut squash jus, steak cooked to perfection, flaky monkfish – and that’s without mentioning pudding! 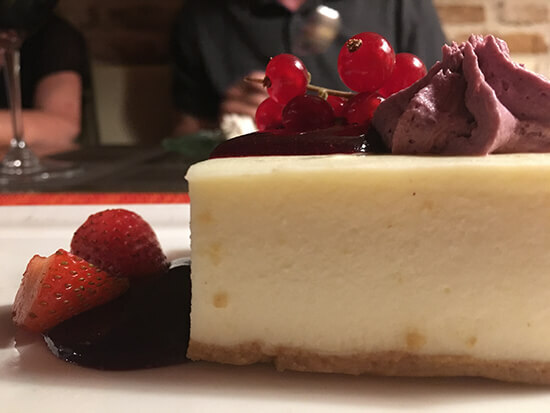 A strong contender for the best berry cheesecake I have ever had, and all washed down with a full-bodied glass of rioja. I was just mouthfuls into the starter when I decided I simply had to return to Madrid to taste this exceptional cuisine again. Ready to indulge in Madrid? Chat to one of our Travel Experts about our great range of Madrid holidays and city breaks now!